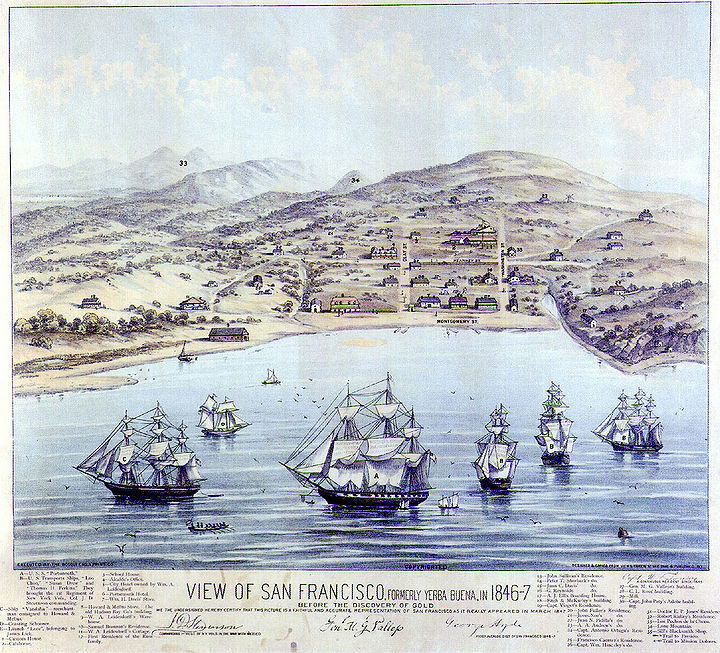 What Do You Know, San Francisco? Checking in from the Bay Area. I’m currently embarked on a massive journey that began in Los Angeles and is ultimately going to wind up in Knoxville, Tennessee. For anyone who loves travel (which is most everyone I know, save for one friend who happens to be a sociologist… go figure*), burning one’s time in front of a computer is hardly a way to make the most of your limited time on the road (or in my case now, rails). The other morning, an old friend and I were eating breakfast at Eddie’s Cafe in the Lower Haight. She was asking me about my future plans and why I’ve chosen Geography. I was fully prepared to launch into (and bore her with) the usual pretentious diatribe about how big of an umbrella the discipline is, but I immediately just pointed at our surroundings. 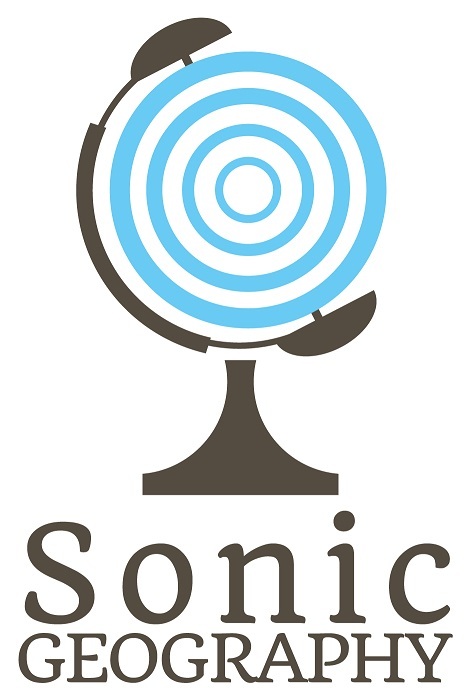 We were sitting in a soul food diner managed and operated by Korean immigrants. Across the street there was another diner with a Middle-Eastern name, and next door to that lied a front for something fortune telling shop, which has myriad origins but usually traces back to the Roma. And that’s just the beginning. No matter how many times I visit the Bay Area, I can’t even begin to comprehend how this city came to be, established itself to be the way it is**, and continues evolving in on this bizarre path. How many ex-hippies (and millennial Phish phans) visit the corner of Haight and Ashbury for the first time and are severely disappointed with what they find? I would guess a lot, unless they’re really into overpriced souvenir shops and Ben & Jerry’s (as delicious as many of their flavors are***) for some reason. Cities need to expand and contract, and the Bay Area doesn’t really allow for these physical manipulations inasmuch as a other cities tend to spread out and become watered down (not naming names, but you can all fill the blanks). I have to get moving (again), but just to get these on here, hear a few indispensable “San Francisco” songs from over the past few decades****. I rode down to the tracks. Thinking they might sing to me. But they just stared back. Stay tuned to hear Jack Kerouac in there. The bay’s drunkest and proudest poet laureate who also happened to have a major label record deal at one time, Mark Eitzel, ladies and gentlemen. “a city built by fire trucks! The late Lance Hahn relocated to SF in the early 90’s, named his new band after the MUNI line he took to practice and work, and proceeded to put out a staggering number of full-lengths, singles, comp songs and splits over the following decade. This is currently my favorite song he wrote during his all-too-brief life. *** = If you work for the corporation and want to give me kickbacks for each hit I get on this article, I eagerly await your $0.35 check. **** = With apologies to an endless catalog of bands including Operation Ivy, Hickey, Geographer, Moby Grape (see Haight Ashbury circa 1968), Dead Kennedys, Flipper, Crimpshrine, going on forever. 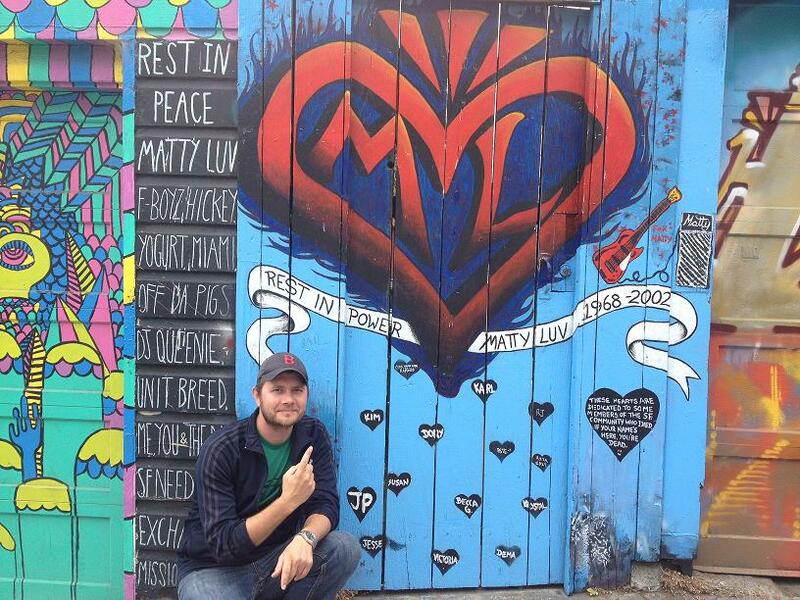 The Matty Luv memorial in Clarion Alley (Thanks to Allie S. for the photo).